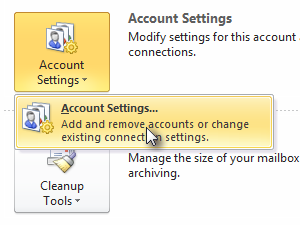 Click Account Settings button and choose Account Settings. 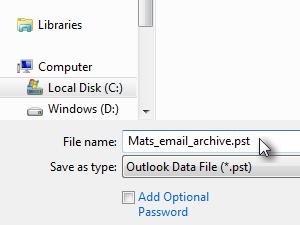 You can leave the suggested name for you new Outlook archive .pst file or change it to something more personal. 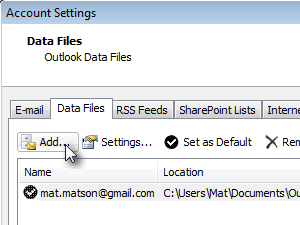 Files that end with .pst are Outlook data/archive files. 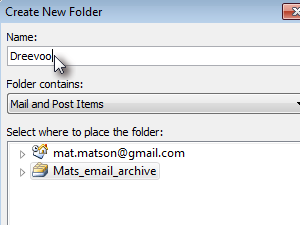 They contain all the emails you choose to archive. 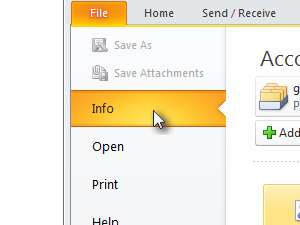 Here you can see my new archive data file. 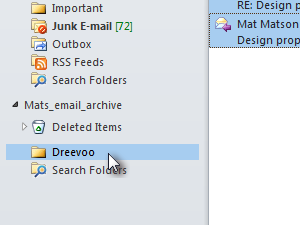 Your new archive should now be visible under your existing email folders. 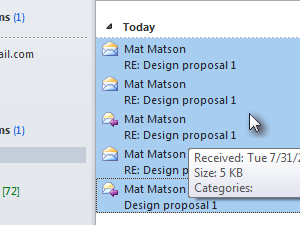 It has the same name as the .pst file you entered in step 4. 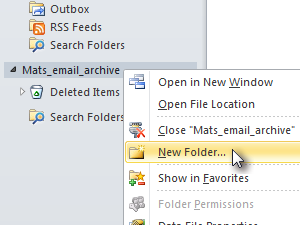 Enter the new folder name and click OK.
To select more than one emails, click the first email, scroll to last email you want to add to your selection (don't click it yet, the first email still needs to be selected), press and hold Shift key and click the last mail you want in your selection. 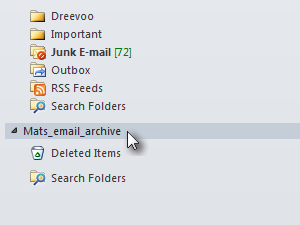 ... and drop them into your new Archive folder. 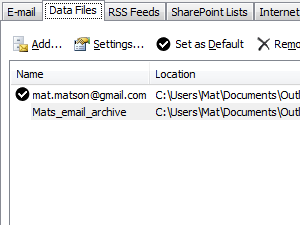 All the emails you are going to drop into the archive are going to be safely stored in the .pst data file you created. You can add as many archives as you want.